Built-Up Roofing – Built-up roofing (BUR) is the oldest commercial roofing type. 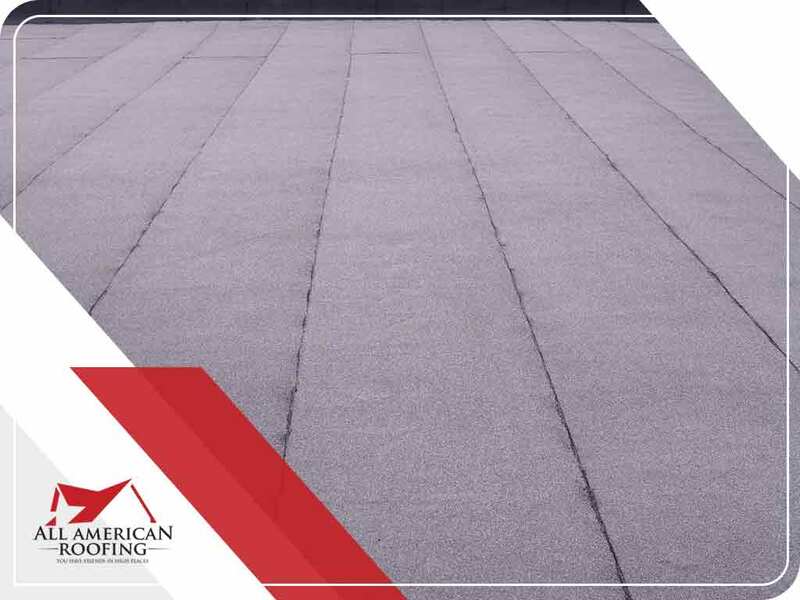 Also known as tar-and-gravel roofs, it remains a cost-effective solution for buildings with flat roofs. Alternating layers of bitumen and adhesive are installed – or built up – on the substrate. The top layer is then covered by gravel, which protects against impact, foot traffic and solar heat. It also acts as ballast, which helps protect the roof against high wind. Modified Bitumen – Modified bitumen roofs are similar to BUR, except that a cap sheet covers the top layer instead of loose gravel. This adds a cleaner look, and retains protection against potential punctures and wind damage. This makes modified bitumen ideal for roofs with moderate foot traffic, such as rooftop cafes. Roofing companies like us offer cap sheets with reflective coatings that can add “cool roof” features and help you save on energy costs. Metal – Metal is an exceptionally versatile material that works in both commercial and residential settings, in any kind of slope. One of the main advantages of metal roofing is its exceptionally long life span and durability. If installed by a skilled roofer, commercial metal roofing can last up to 75 years. Metal roofs can accommodate roof coatings, making it easier to update their color should you decide to update your branding colors, or if you want to add a company logo to the roof. You can also choose to add reflective coatings after installation, for improved energy efficiency. Single-Ply Membrane – Single-ply membrane roofs are today’s most popular roofing systems, thanks to their affordable cost, fast installation process and reasonably long life span. Membrane roofing is typically made of EPDM and TPO, and can be installed using adhesives, heat welding, or loose and weighted. These materials typically come in white, making them ideal for “cool roof” applications. To learn more about our windows and roofing services, call All American Roofing today at (888) 786-0400. You can also fill out our contact form to schedule a free consultation. We serve Oklahoma City, OK, and the surrounding areas.